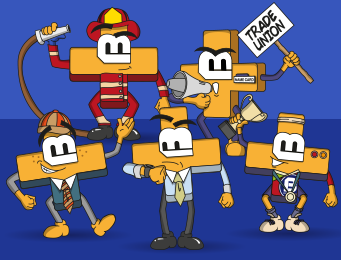 Our range of small enamelled stripe shield badges is a striking alternative to the standard shield school badge. This collection of striped shield school badges are suitable as for academic school badges, school council badges or school sports badges, such as Athletics, Swimming, Rugby or Cricket. 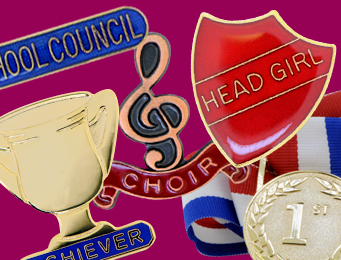 Coming as 27mm x 25mm in size, these custom school badges are also available in an array of colours to suit all school colour schemes. 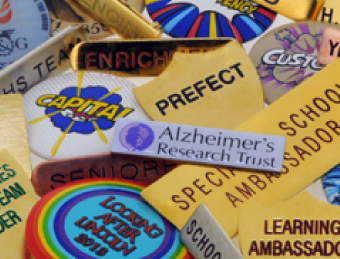 Each school shield badge has a gold plate, they are filled with enamel and coated in epoxy to give them a durable, domed finish. 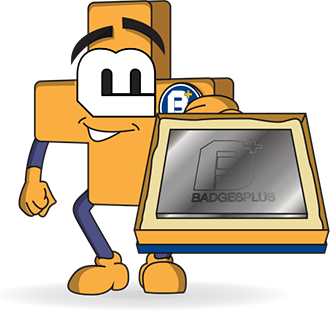 Our enamelled stripe shield badges are not only popular as school badges, they are frequently ordered as a club, corporate and charity badges. 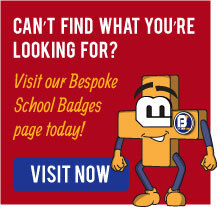 Excellence meets affordability at Badges Plus, so look no further for your enamelled stripe shield school badges. 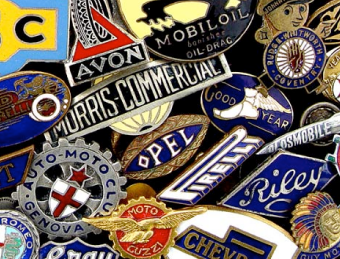 Quality is guaranteed, as we manufacture every one of our Enamelled Shield Badges using traditional techniques, right here, in the heart of the famous Jewellery Quarter in Birmingham.